How to choose tube guitar power amplifier. 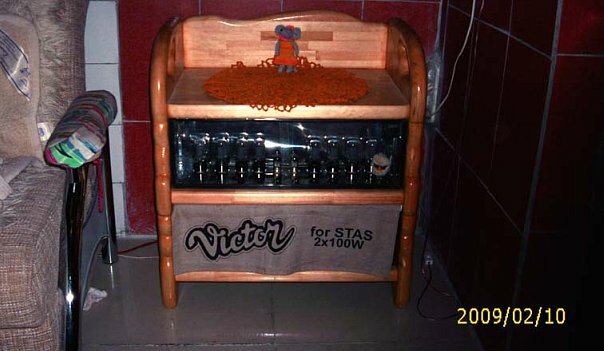 The question of a role of the tube guitar power amplifier gained new development. 1) narrowly targeted musical character. One amplifier – one character. The second is necessary – buy the second. Such approach limits possibilities of the guitarist for expression of the musical ideas. 2) a leaky sound on the minimum house volume. This phenomenon sometimes completely steals pleasure from game, turning game into torture. use of switching of operating modes American/English, vintage/modernist style, Class AB / A and application of the 7th band equalizer. This approach allows to receive different nature of sounding from physically one power amplifier that is especially important for the guitarists playing music in various styles. However the advantage of use of the 7th band equalizer isn’t limited to it. The equalizer solves as well a problem of density of a sound on small volume, carrying out a role tone compensator, and, as a bonus, – fine tuning of a sound in different rooms and with different speakers. The used schemes of equalizers allow to receive the equal amplitude-frequency characteristic at installation of all regulators at “12 o’clock”. 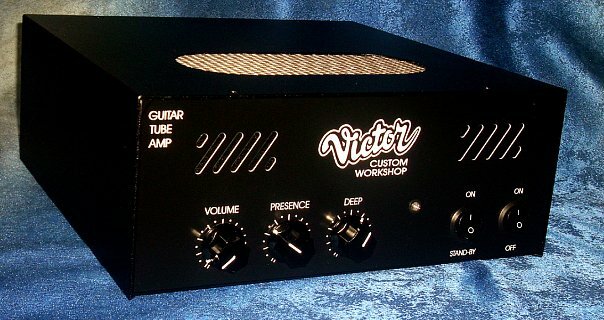 As opposed to the above described advantages of VICTOR CUSTOM guitar tube power amplifiers it is possible to tell that the term of production of the amplifier approximately one month. Certainly, it is much longer in comparison with the serial amplifiers which are on store shelves. Tube guitar stereo power amplifier 5W per channel. Tube guitar power amplifier 1U 50W. Tube guitar power amplifier with reverb. Tube guitar stereo power amplifier 2U with 7-band equalizer 20W per channel. Tube guitar power amplifier 50W 2U with 7-band equalizer. Tube guitar stereo power amplifier 2U 40/20 W per channel with 7-band equalizer. Tube guitar power amplifier 5W. Tube guitar power amplifier stereo 5W per channel. Tube guitar power amplifier 50W with tone stack and rectifier. Tube guitar power amplifier 50W with rectifier. 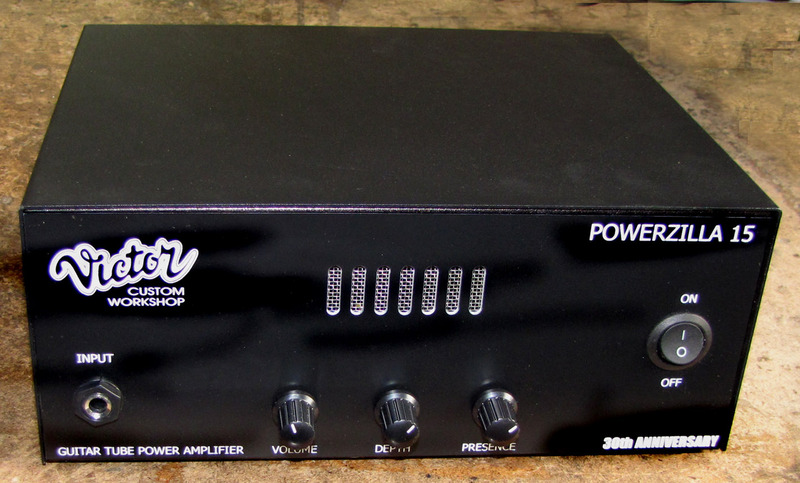 Tube guitar power amplifier stereo 30W per channel. Tube guitar power amp stereo with stereo reverb 100W each channel. Tube guitar power amplifier 1U 5 / 0.5 W with 7-band equalizer. Guitar tube power amplifier with 3-band equalizer 100W. Guitar tube power amplifier 12W. POWER STATION 5/0.5W Guitar tube power amplifier. EAST POWER AMP 15W/0.5W 7-EQ . PARADIGM. Guitar tube stereo power amplifier 5W per channel. PARADIGM POWER AMP 2X10W. Guitar power amplifier stereo 10w per channel. DUAL POWER 20/2W + PHONES – guitar american/english stereo tube power amplifier with phones output. POWERZILLA 15 – tube guitar power amp 15Watt. BEAST POWER 5. guitar tube Pull-Push class A power amplifier. RECTO POWER 2×20/2W. Stereo tube guitar power amplifier. Vintage/modern remote switching. NANO POWER AMP 1/0.2W tube power amp with phase invertor and power tube controlled distortion feature. NANO POWER AMP 1/0.2W Ламповый оконечный усилитель 1вт. BLACK EYE POWER AMP 5/1 Вт guitar tube power amp with remote controll. BLACK EYE POWER AMP 5/1 Вт guitar tube power amp with remote controll..
S-POWER 5/1W. Ламповый гитарный оконечный усилитель. DUAL TWENTY ламповый стерео оконечный усилитель 20 / 5 / 1Вт на канал. POWER TWELVE. Ламповый оконечный усилитель с 2мя характерами звучания и импульсным спикерсимулятором для наушников.